If you&apos;ve missed the breaking news originating in our weekly e-newsletters, perhaps you&apos;re just learning that Delta Machinery was sold and many of the big machinery manufacturers will exhibit at the AWFS fair in Las Vegas, which is this year&apos;s major trade show. Before I get into the details, why aren&apos;t you getting the e-newsletter? It&apos;s free and easy to sign up at www.woodshopnews.com. Besides breaking news, you&apos;ll get weekly links to our popular blogs by A.J. Hamler and David DeCristoforo, as well as other news and views. The sale of the Delta brand from Stanley Black & Decker to Change Type Industrial Co. Ltd. closed on Feb. 4. Officially, the brand is now under the purview of the Delta Power Equipment Corp. and is based in Anderson, S.C.
Delta, which has had several owners during its 92-year history, is about as close as it&apos;s going to get to being a stand-alone company in this age of mergers and acquisitions. Change Type is a Taiwan-based original equipment manufacturer, which is a fancy way of saying it makes tools for other brands such as Black & Decker, DeWalt, Craftsman and Ryobi. This is its first foray into brand ownership. 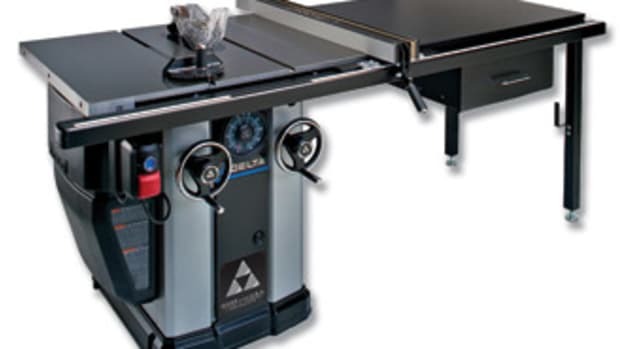 New Delta president and CEO Bryan Whiffen told Woodshop News (see story, Page 9) that "seeing a power tool company become independent again of a big conglomerate, I think, is a good thing, especially when that company is a tried-and-true woodworking equipment company. I think we&apos;ll be able to bring some things to it that never had a chance as part of a larger pool of brands." Hopefully, that will ring true. Under the ownership of Black & Decker, which merged with Stanley in 2009, product development was somewhat sparse. Highlights included a completely redesigned Unisaw and an industrial saw blade line, but holes remain in Delta&apos;s overall product line. Stanley Black & Decker tried to distinguish Delta as a machinery provider, Porter-Cable for its power tools and DeWalt as its construction industry brand, but it too often focused on power tool introductions that blurred the lines of all three brands. Delta can now regain its identity and status as a source of innovation without the encumbrance of corporate bureaucracy. That may be a wishful statement, given that Delta is now owned by an overseas corporation, but one can only hope. Also, the news that Stiles Machinery, Biesse America, Weinig and other heavyweights have agreed to exhibit at this summer&apos;s AWFS in Las Vegas could be a sign that the economic recovery really is beginning. They were conspicuously absent from IWF 2010 and the 2009 AWFS fair. Virginia Tech, in cooperation with Woodshop News, is working on a study to obtain information about current conditions in the industry and to help industry researchers and educators better understand the needs and competitive opportunities associated with small- to medium-sized woodshops. You might receive a mailed questionnaire from Virginia Tech in the coming weeks with questions about your business and your business conditions. Participation in the survey will help ensure that the best possible information is obtained. Results will be reported in Woodshop News. Will 3-D printing spell the end for craftsmanship?